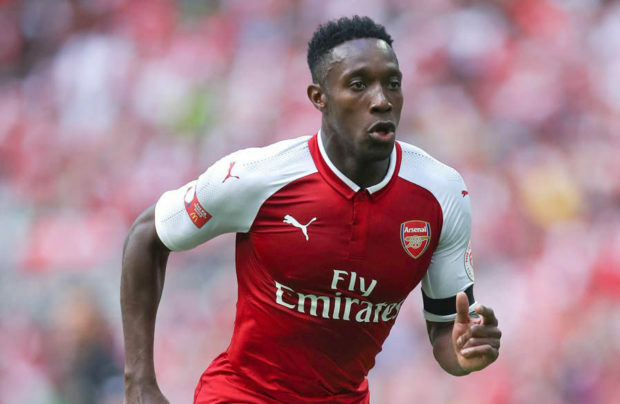 Mirror journalist John Cross has eased fears over the fitness of Danny Welbeck after the attacker was substituted at half-time during Arsenal’s defeat to Cologne. Welbeck has only recently returned to fitness after spending a month on the sidelines with a groin injury that he sustained during our loss to Watford at Vicarage Road in October. The England forward was an unused substitute during the win over Tottenham last weekend but was recalled to the starting eleven this evening for our Europa League clash in Germany. Welbeck lined-up in attack alongside Jack Wilshere and Olivier Giroud and he looked lively during what was a relatively dull opening forty-five minutes. Danny didn’t appear after the break and was replaced by Alex Iwobi sparking fears among fans that Welbeck had picked up a knock or aggravated his groin injury. However, it seems there is nothing to worry about as the Mirror’s John Cross has taken to Twitter to claim that Welbeck is fine and his withdrawal was pre-planned. So it looks like Arsene Wenger had planned before the game to ease Welbeck back in to action and only play him for forty-five minutes this evening. It’s a sensible decision as there was no point pushing him in what was pretty much a meaningless Europa League game. It’s far more important Welbeck is protected so he’s fit for Premier League matches. I expect Danny will be back on the bench against Burnley on Sunday with Alexis Sanchez and Mesut Ozil recalled to support Alexandre Lacazette in attack at Turf Moor. However, he’ll be a useful weapon to have from the bench as a fully-fit Welbeck is a dangerous player to have in the squad so I’m relieved he’s not injured again.